Mr. Frederick Robinson transitioned to our heavenly Father on Monday, April 8, 2019. Services are planned for Tuesday, April 16, 2019, 1:00 pm at the Feed Center Ministries, Fort Valley, Georgia. Frederick was born in Fort Valley, Georgia to the parentage of the late Leon Johnson and the late Mary Robinson. He was preceded in death by his parents, Mr. Leon Johnson and Ms. Mary Robinson; his grandmother, Ms. Ruth White and stepsister, Mildred Wicker. Frederick fought a good fight until the end! He transitioned peacefully on Monday, April 8, 2019 at Navicent Health in Macon, Georgia surrounded by his brothers. 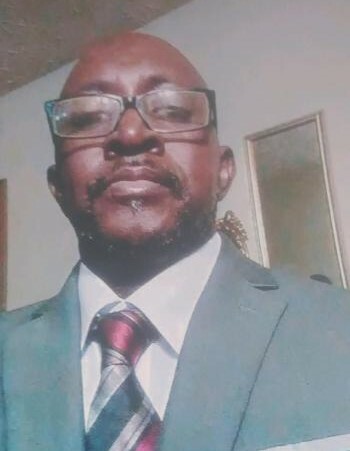 Frederick’s memories will be forever cherished by his Children: Frederick Lamar Jackson of Warner Robins, GA, Devin Lyons of Roberta, GA, Frederick Robinson of Fort Valley, GA and a host of stepchildren. Brothers: Bobby Lee (LaTwinthia) Hinton of Fort Valley, GA, Richard (Pamela) Robinson of Fort Valley, GA; Sisters: Ruth (Greg) Robertson of Americus, GA, Patricia Wicker and Marie Davis of Fort Valley, GA, Valander Johnson and Kasandra Robinson; Uncle: Marvin (Rose Marie) Brown of Montezuma, GA; Aunts: Bernice Stewart of Brandon, FL, Mary Taylor of Orlando, FL, Helen White (Dr. Larnie) Moreno Valley, CA, Connie Dickson, Verna (James) O’Hara of Orlanda, FL, Angela Funderburk, Atlanta, GA and Carolyn (Pastor Bobby) Mills of Daytona Beach, FL; a host of nephews and nieces; other relatives and many sorrowing friends.